Heartwood Creations - Maple Wood Cribbage Board by Mike Fisher. Crafted from solid Maple with wooden pegs. Deck of cards are included. 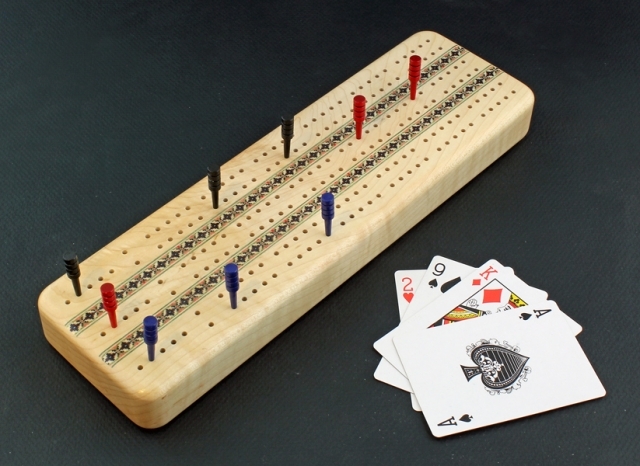 This Cribbage Board is in stock and available for immediate delivery. Questions? Please email or call us toll free at 888-771-5563 from 10am to 6pm PST.